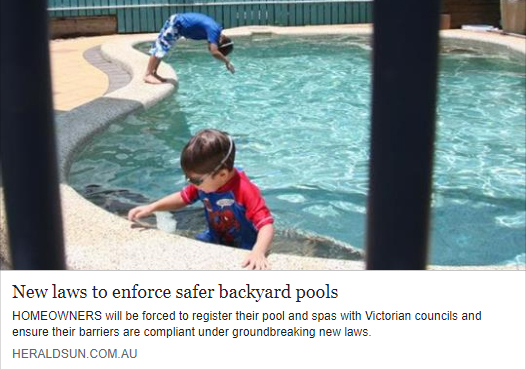 If the Leader Newspaper has their way, pool safety compliance laws will be even more strict by 2020. It goes by a number of names, Wedge Restraint, Tilt Batten, Pool Safety Rail. Whatever you want to call it though, it’s a cost effective way of making sure your paling fence is pool safe compliant. Available in 2.7m lengths in Melbourne, and 2.0M lengths (due to courier restrictions) for the rest of the country (Sydney, Hobart, Brisbane, Adelaide, Perth & Darwin), Wedge Restraint is in stock at Demak Timber and available for pick up today!